We believe the Coweta County School System, in partnership with the family and the community, must focus on providing challenging, interesting and satisfying work for students. We believe we are responsible for the success of each student. White Oak Elementary School is a Title I school, and as the parent/guardian of a child attending a Title I school you are an important part of the Title I team. Your input is vital in the planning and implementation of the parent involvement program and activities in our school. The focus of all Title I programs is to help eligible students meet the same high academic achievement standards expected of all children, regardless of their socioeconomic status and background. The following survey is confidential and will be used to assist us with future planning for parental involvement activities for 2019-2020 at White Oak Elementary School. We appreciate your feedback and thank you for taking the time to complete this survey. 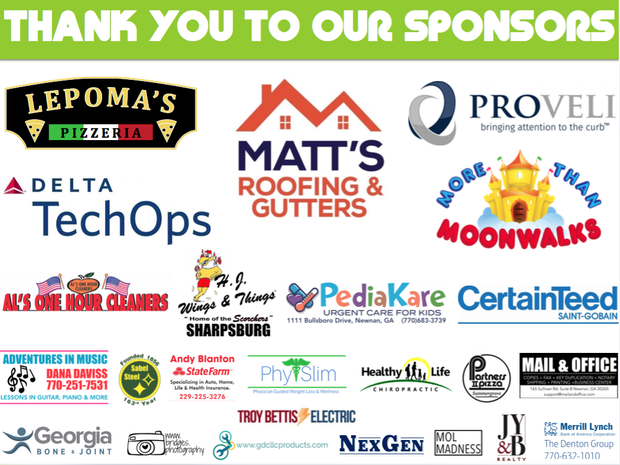 A huge thank you to our local business fun run sponsors and top donors!! Please help support our local businesses that helped support us! All student Portal accounts have been deleted. New and previously enrolled students MUST create a Portal account by clicking the following link and following the directions.